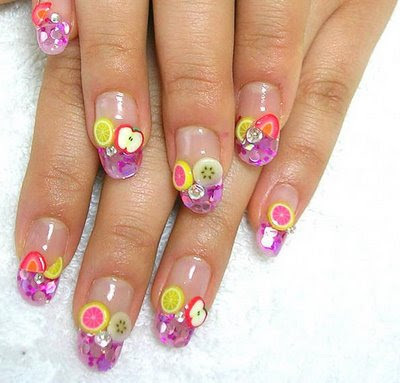 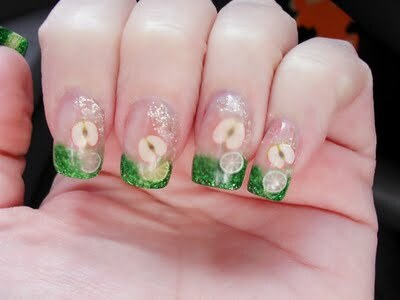 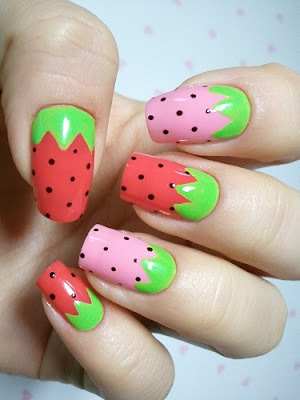 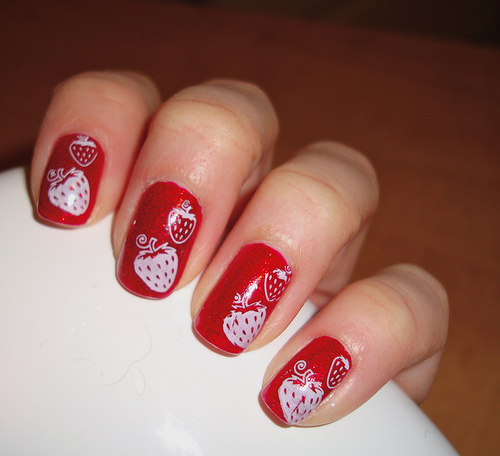 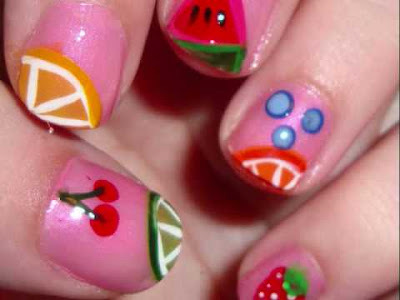 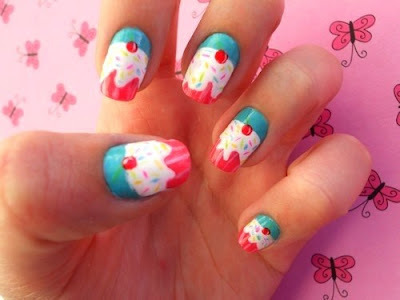 Fun Fruity Nail Art Design : Everything About Fashion Today! 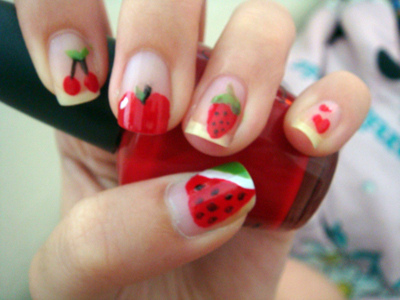 Want to do something different? 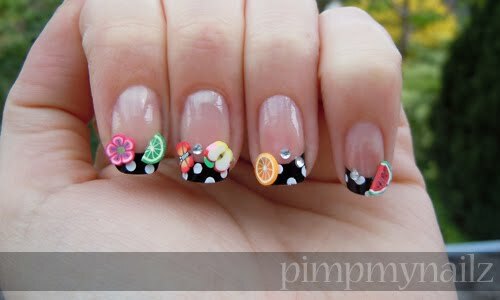 Take a look at these beautiful and fun designs, very colorful and fruity :) Add stickers and embellishments and have fun! 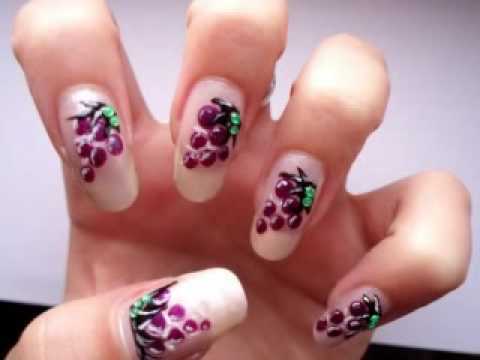 Would you try one of them? Do it yourself or take the pics to your manicurist and have her do them to your nails.